They never thought that decency would trump the brainwash. “This is perhaps one of the most important interviews ever done on issues of global import. PLEASE READ AND LISTEN CAREFULLY. It’s clear we are at a historical turning point. The sudden emergence of people like Assange, Manning, Snowden, Greenwald, and now even Omydiar as powerful backers of adversarial journalism suggests that—at last—the murderous edifice of hubris, criminal lies and cynicism sustaining corporatism may be cracking up. As suggested in an article soon to be published by Patrice Greanville, it was the system itself that made this development inevitable. Just as the left was literally created “as a remedial reaction” to the cumulative crimes and abuses of the right over many centuries, it is the sheer “massive criminality and cynicism of the global capitalist elites, their death-inviting short-term self-serving thinking, all wrapped in a suffocating hubris,” that made onetime true believers like Manning, Snowden and decades ago Ellsberg, overcome their brainwash and mount a brave resistance. The spat over U.S. spying on Germany grew over the weekend following reports the National Security Agency has monitored the phone calls of Chancellor Angela Merkel since as early as 2002, before she even came to office. The NSA also spied on Merkel’s predecessor, Gerhard Schroeder, after he refused to support the Iraq War.NSA staffers working out of the U.S. embassy in Berlin reportedly sent their findings directly to the White House. The German tabloid Bild also reports President Obama was made aware of Merkel’s phone tap in 2010, contradicting his apparent claim to her last week that he would have stopped the spying had he known. In another new disclosure, the Spanish newspaper El Mundo reports today the NSA tracked some 60 million calls in Spain over the course of a month last year. A delegation of German and French lawmakers are now in Washington to press for answers on the allegations of U.S. spying in their home countries. We discuss the latest revelations with Glenn Greenwald, the journalist who first reported Edward Snowden’s leaks. AMY GOODMAN: To talk more about the latest National Security Agency revelations, we’re joined by Glenn Greenwald, the journalist who first broke the story about Edward Snowden. Earlier today, the Spanish newspaper El Mundopublished an article co-written by Greenwald revealing the NSA recently tracked over 60 million calls in Spain in the space of a month. For the past year, he’s been a columnist at The Guardian newspaper. 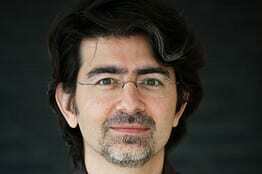 He is leaving the paper this week to join a new media venture funded by eBay founder, multibillionaire Pierre Omidyar. Glenn Greenwald joins us by Democracy Now! video stream from his home in Rio de Janeiro, Brazil. GLENN GREENWALD: Yeah, there’s a series of reports that have appeared in several different European countries over the past two weeks or so. As you indicated, there is a report this morning in El Mundo, which I co-authored, reporting that theNSA in one month, December of 2012, collected the data on 60 million telephone calls made to and from people in Spain. There was an article similar to that one in Le Monde, the Paris daily, the week before, that I also co-authored, indicating that theNSA had collected 70 million telephone calls and stored them in their system to be monitored and analyzed. And there have been a series of reports, of course, in Germany, really over the last three months, mostly co-authored by Laura Poitras, the American filmmaker with whom I’ve been working on the Snowden story from the start, about systematic and bulk spying on the people of Germany, and, more recently, targeting the German chancellor, Angela Merkel, that has caused a very significant political controversy and underscoring the principal point—is what these stories do—which is that it really is the goal of the NSA, as I’ve said many times before, to eliminate privacy worldwide by ensuring that all forms of human electronic communication are subject to its ever-growing surveillance net. GLENN GREENWALD: Right. I mean, the NSA uses different techniques. One of the main techniques that it uses, as Der Spiegel in its cover story reported this week, is, through a consulate in Berlin, the NSA sends people who pretend to be diplomats, who are actually there to engage in mass surveillance on the German population, as well as to target the individual cellphone calls of prominent German politicians such as its chancellor. We did a similar report here in Brazil on the targeting of President Dilma Rousseff. And the same has happened in Mexico, where both the current and former Mexican presidents were targeted with similar forms of surveillance. And often the way that this is done is through people who pretend to be diplomats stationed at what pretends to be a consulate, but which is really an NSA outpost that exploits its positioning in the nation’s capital under diplomatic treaties to target the population and the leading democratically [sic] elected leaders with very invasive surveillance. GLENN GREENWALD: Remember, all of the stories that we are reporting are based on the NSA’s own internal documents, the claims that the NSA has made to itself and to its four closest allies when it comes to surveillance programs, which is the U.K., Canada, New Zealand and Australia. And so, I think at this point there’s really nobody rational who doubts the veracity of any of these reports. They’ve proven to be true in every single case. So when the documents prove or when other evidence proves that Chancellor Merkel was targeted with this kind of surveillance, it’s obviously the case that she was. And Jay Carney’s refusal to deny that she was such a target, after making a point to say she no longer will be in the future and is not right at this very second, I think, obviously, demonstrates that. That is the difficulty for the U.S. government, is… there’s no way for them to demonize or to discredit the reporting that we’re doing, precisely because the reporting that we’re doing is based very faithfully on the claims that the NSA itself makes in their own documents. 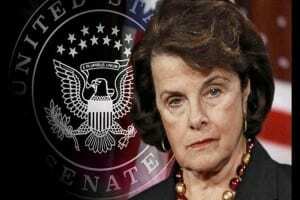 Few figures in the American political class incarnate the treachery and corruption of Washington better than Dianne Feinstein, a Democrat. There is no alternative; the whole filthy system must go. And what the Dianne Feinsteins and the John Boehners of the world are doing right this very minute is they know that the public is outraged by these revelations, that they need to be placated symbolically. And so, what they’re trying to do is to devise legislation that, with this very Orwellian tactic, will slap the word “reform” on it and say that it’s designed to reel in some of the abuses of the NSA, but which are really—in title, are designed to let the NSA continue to do exactly what they’ve been doing, and in many cases, as you just suggested, even strengthen the NSA further. Remember, these are the people who defended, who joined together—the Republican and Democratic party leadership defended, with the White House, the ability of theNSA to continue to bulk spy on American citizens, to collect all of our phone bills, showing all of the telephone calls we make and receive. And there’s a coalition of outsiders in Washington, both on the right and the left, who are working to undermine that. But the tactics of the NSA loyalists, like Dianne Feinstein, is to produce legislation that they can deceive people into believing is reform, when in reality it does the opposite. AMY GOODMAN: Interestingly, opinions are changing, meaning the pundits and writers are changing their views, like Richard Cohen of The Washington Post_, whose latest piecestory.html says, “What are we to make of Edward Snowden? I know what I once made of him. 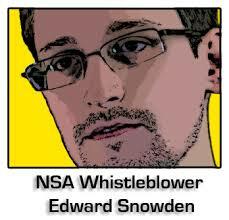 He was no real whistleblower, I wrote, but ‘ridiculously cinematic’ and ‘narcissistic’ as well. As time has proved, my judgments were just plain wrong,” he says. And I want you to respond to that and also the significance of this weekend’s protest, because I dare say what has changed is the massive grassroots response, whether it’s in the streets or just people being horrified at what’s taking place. But the significance of the rally that took place on Saturday that Edward Snowden sent a message to? AMY GOODMAN: But we don’t have much time, and I want to turn, Glenn Greenwald, to your latest venture. You’re leaving The Guardian this week, the newspaper and the website where you have been a columnist and a blogger, and you are beginning to start a new venture with the eBay founder, Pierre Omidyar. Tell us what you’re doing. GLENN GREENWALD: Yeah, I mean, the venture is still something that we’re shaping and figuring out how it’s going to work. But, obviously, the choice for him to work with us and for us to work with him—and by “us,” I mean Jeremy Scahill, who started with Democracy Now! and has been a longtime national security correspondent for The Nation, and Laura Poitras, the documentarian and great journalist in Berlin—I think gives people a strong sense of the kind of journalism that we intend to embolden and to strengthen. It’s very unusual, I think, for people who are dissenting political figures or journalists. Usually people like that have—are on the outside of institutional power. And what this is really about is being able to create a very well-funded, powerful, well-fortified institution that’s designed not to just tolerate that kind of journalism, but to enable it and protect it and strengthen it and empower it. And the people who we’re going to select are all going to be people who take the same view of adversarial journalism, that it’s about holding the most powerful factions accountable, fearlessly, and without regard to threats or repercussions from the government or corporate factions. And I think that it’s going to be a very formidable force in shaping how journalism is understood and how it’s practiced. AMY GOODMAN: Pierre Omidyar, the founder of eBay, has said he’s going to put something like $250 million into your venture. He, at first, was possibly going to buy The Washington Post. Have you talked to Pierre Omidyar? Are you concerned about issues like—well, you know, he’s a founder of eBay. EBay cut off—eBay owns PayPal, which cut off support for WikiLeaks. What kind of discussions have you had around that, which certainly would be relevant to what you want to do and your deep concerns about control? GLENN GREENWALD: Sure. In the very first conversation or second conversation I had with Pierre, I asked him about that exact issue. And what he told me was that, at the time—and this is absolutely true—he was not the CEO of eBay, he was not involved in its management or PayPal, and that he actually disagreed with that decision. And a newspaper that he owned in Honolulu, that he created and helped out and at which he was working, editorialized against the government’s attacks on WikiLeaks’s funding. You know, I’ve moved several times now in my career, from being an independent blogger on my own to being at Salon and to go on to The Guardian and now to this. And each time I do it, I have people say, “Look, the institution that you’re going to go to, the people who are running it are going to force you into their [inaudible]. They’re going to restrict what it is that you can do.” And I always say the same thing, which is I would never go anywhere or stay anywhere that in any way tried to interfere with my editorial independence and freedom. And that’s absolutely true of this venture. You know, if you look at Pierre’s record of advocacy over the last several years, and especially of the past five months, he’s been incredibly supportive of the NSA reporting we’ve been doing, of the notion of press freedom. He would not start a new business in order to make money. He would only start a new business for some goal, some civic-minded goal. And that goal, not to replicate what other journalistic outlets are doing or to restrict the independence of journalists, it’s to enable independent journalists to be even more independent, to be even more adversarial and aggressive in how they do their reporting. And I am completely convinced of the passion that he has behind that vision and his willingness to adhere to it. And at the end of the day, I think neither Jeremy nor myself would ever allow anybody to restrict what we do in any way, and that certainly includes him. But we have zero worries if that’s an intention; quite the opposite, we think he wants to enable us and others to do the kind of journalism that the United States people want more of. AMY GOODMAN: I want to thank people for bearing with us; the audio is not so great today in this video stream. But lastly, you’ve engaged in this very interesting conversation with Bill Keller of The New York Times, this debate between the two of you, the former executive editor of the Times. Keller began the debate by writing, “We come at journalism from different traditions. I’ve spent a life working at newspapers that put a premium on aggressive but impartial reporting, that expect reporters and editors to keep their opinions to themselves unless they relocate (as I have done) to the pages clearly identified as the home of opinion.” He ended, saying, quote, “Embedded in The New York Times’s institutional perspective and reporting methodologies are all sorts of quite debatable and subjective political and cultural assumptions about the world. And with some noble exceptions, The Times, by design or otherwise, has long served the interests of the same set of elite and powerful factions. Its reporting is no less ’activist,’ subjective or opinion-driven than the new media voices it sometimes condescendingly scorns.” Can you comment on that and where you’re going with your new venture? GLENN GREENWALD: Sure. And this came out of a New Yorker piece on the reporting that we did at The Guardian that quoted Bill Keller as saying he never would have allowed me, when he was the editor of The New York Times, to take the lead in reporting on these NSA stories, because I had expressed opinions about these topics previously. And so, he and I then had an email exchange about that, and he then offered, quite generously, to have a debate and publish it in his column. And I think it really reflects two very competing and different but strong frames in how journalism is understood: the kind of traditional New York Times model that I think has neutered and, in a lot of ways, helped to kill journalism as a potent force for checking power, and the kind of journalism that I think we intend to do, where it is much more passionate and [inaudible] and intended to be overtly adversarial to those in power. And I think you see the two competing visions in that exchange. And part of what I wanted to do was lay out for people why I think our vision produces better journalism, and to point to some of the really bad journalism that The New York Times has produced over the years—alongside some good stuff—which I think is a byproduct of this sort of obsolete way of thinking. 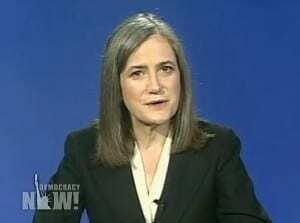 AMY GOODMAN: I want to thank you, Glenn, for being with us. Glenn Greewald, columnist on civil liberties and U.S. national security issues, is leaving The Guardian this week and is going to start his new venture with Pierre Omidyar, the founder of eBay, a new news organization, with Laura Poitras and Jeremy Scahill. This is Democracy Now! We’ll link to all your latest articles, Glenn, at democracynow.org. When we come back, the biggest deal, settlement, with the largest bank. Stay with us. Posted in AMERICAN BRAINWASH, CAPITALISM & SOCIALISM, CIA + GOVT CRIMES, COVERT OPS & INTELLIGENCE, CULTURAL POLITICAL ISSUES, IDEOLOGICAL COMBAT, IMPERIALISM, LIBERALS & FAUX LEFT, OBAMA, REVOLUTION, SCUM WATCH.